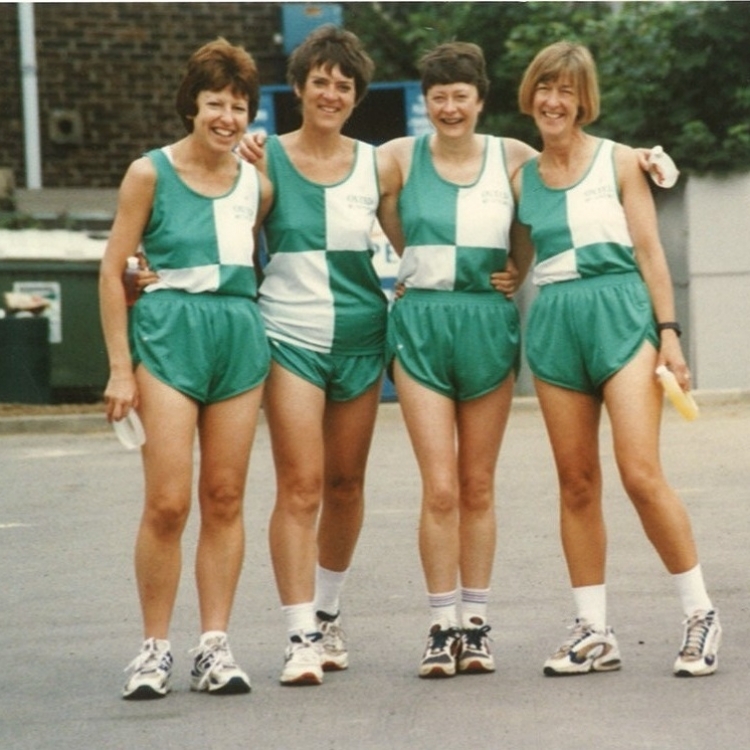 Oxted Runners was formed in early 1984 when a small group of local runners started meeting at the George Inn, Old Oxted on Tuesday evenings. The idea had been that of Keith Nelson and his wife, who lived in the Old Oxted High Street; shortly afterwards Keith became Editor of Today’s Runner (now Runners World). The evenings began with a warm up routine organised by Nigel Bongers, followed by a circular run down Sandy Lane towards Oxted and Master Park. 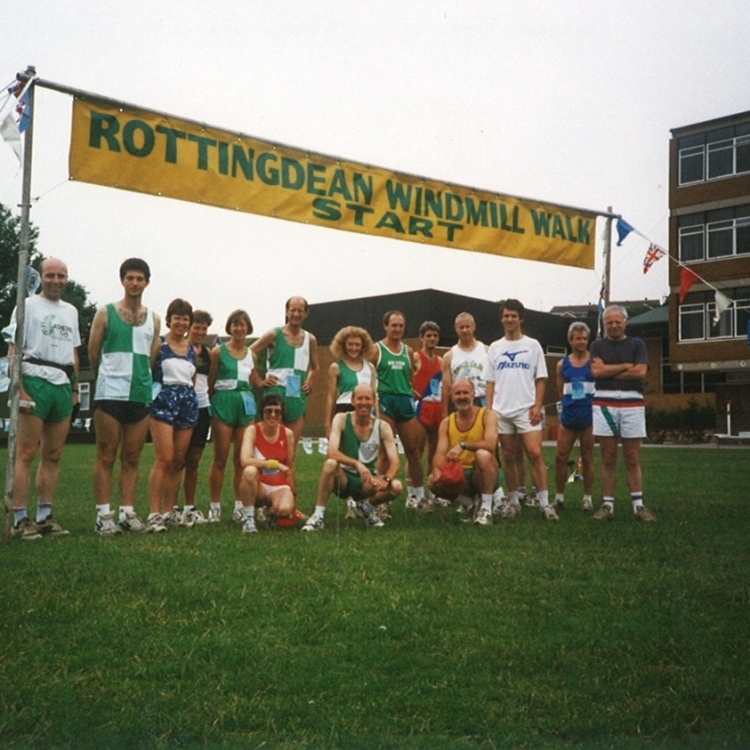 We even had an ex British Olympic long distance runner, Laurie Reed, join the group in the early days. 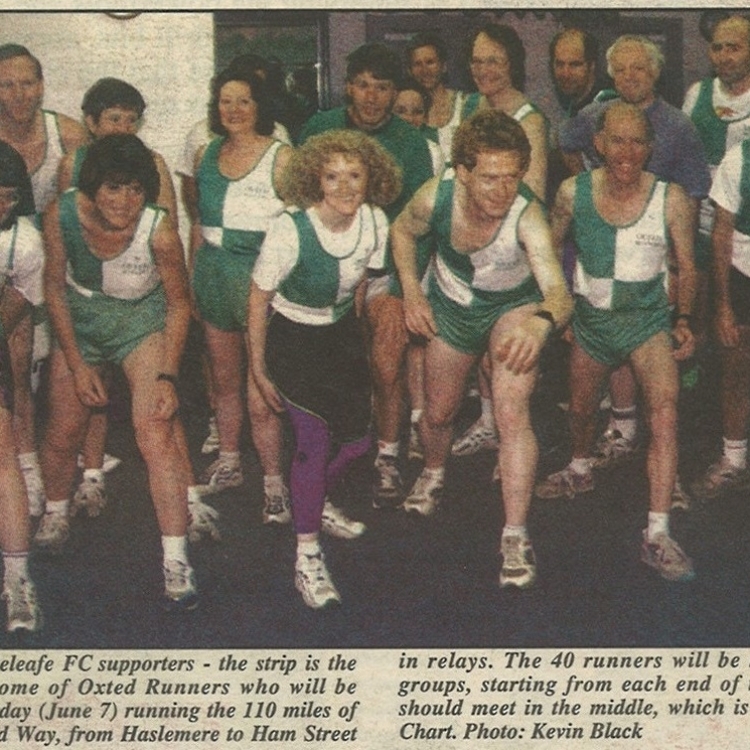 Afterwards the group of around 15 regular runners adjourned to the George Inn for a drink or two, with Val Bowes acting as club treasurer and keeping close control of the cash kitty. 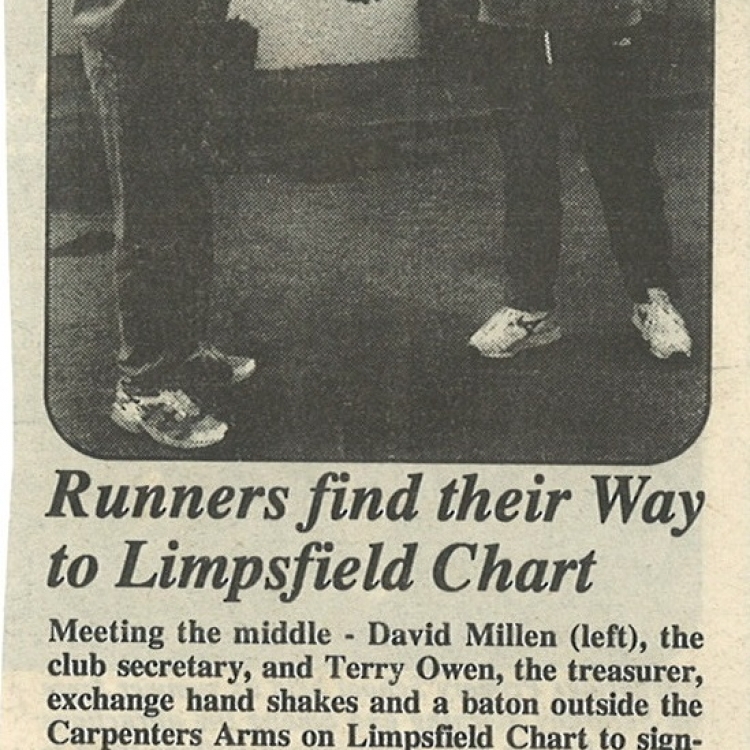 Many of the group would also join up on Sunday mornings for a longer run from Limpsfield Chart across to Ide Hill and back. 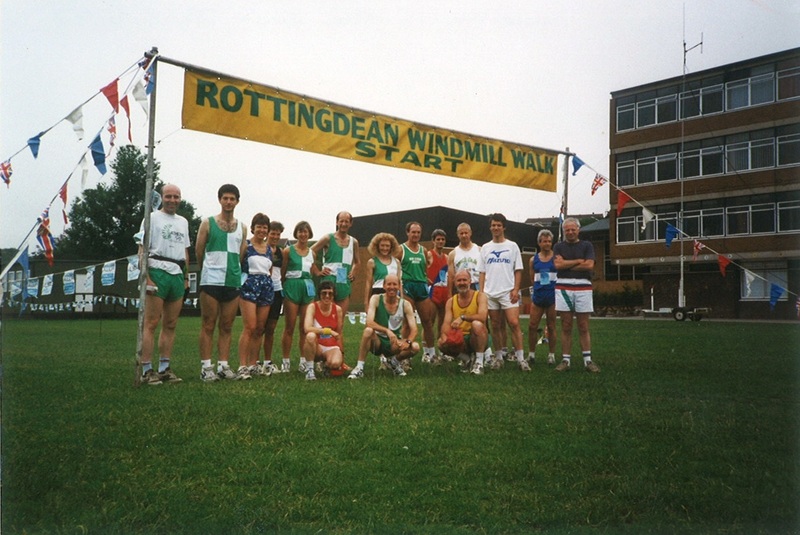 During the early years, fuelled by the 1980’s running boom, members regularly participated in road races around the County, as well as Kent and Sussex, with many weekends seeing a dozen or so taking part in races as far afield as Worthing, Rottingdean and Windsor. 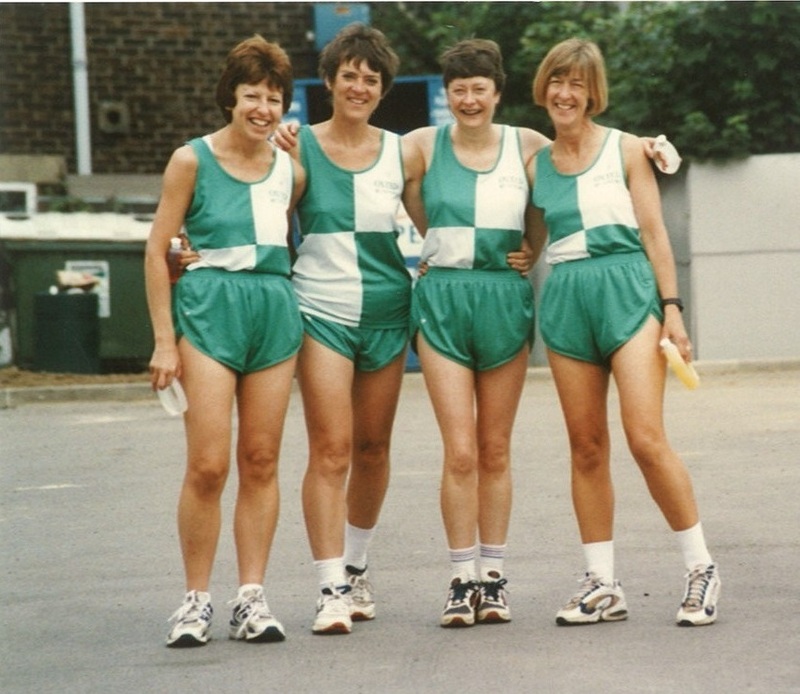 We also managed to get a good take-up of places for the London Marathon and for a number of years we went for long weekends to different overseas races such as Benidorm, Majorca and Bruges; with the after race parties being greatly enjoyed! 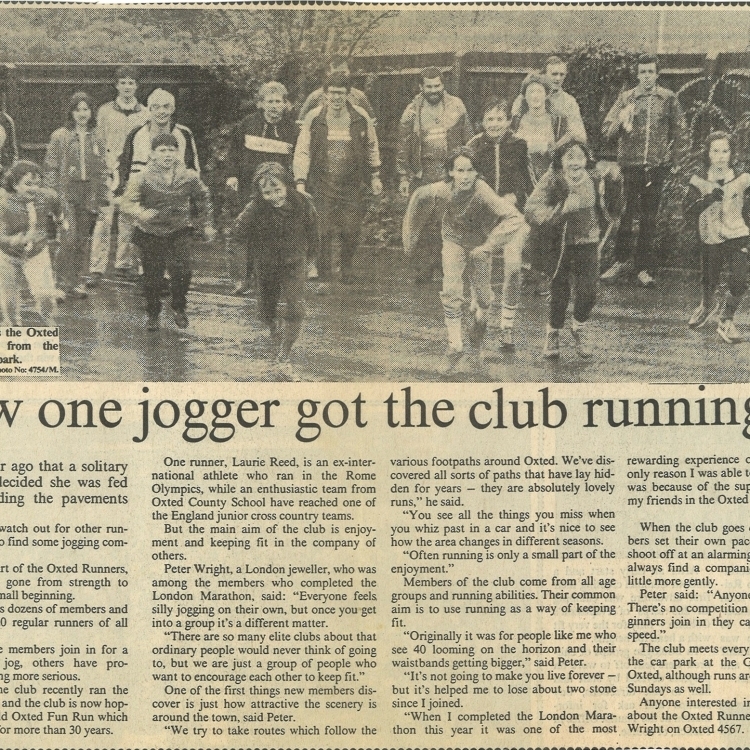 The early 90’s saw the club Tuesday evening runs move to the newly opened Tandridge Leisure Centre in Oxted. 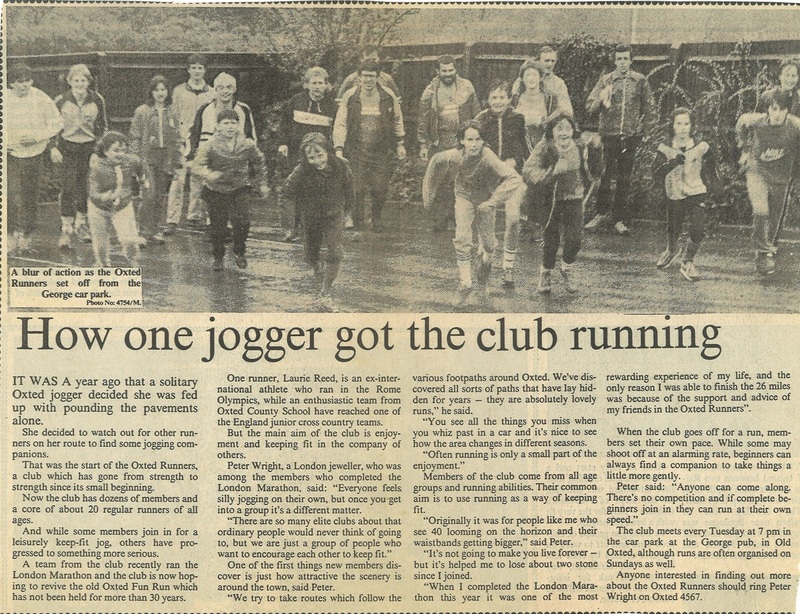 In 1994 the Oxted Runner Newsletter began and by then the Club had increased membership to around 40, with David Drummie as President, Terry Owen as Treasurer and David Millen as Secretary. 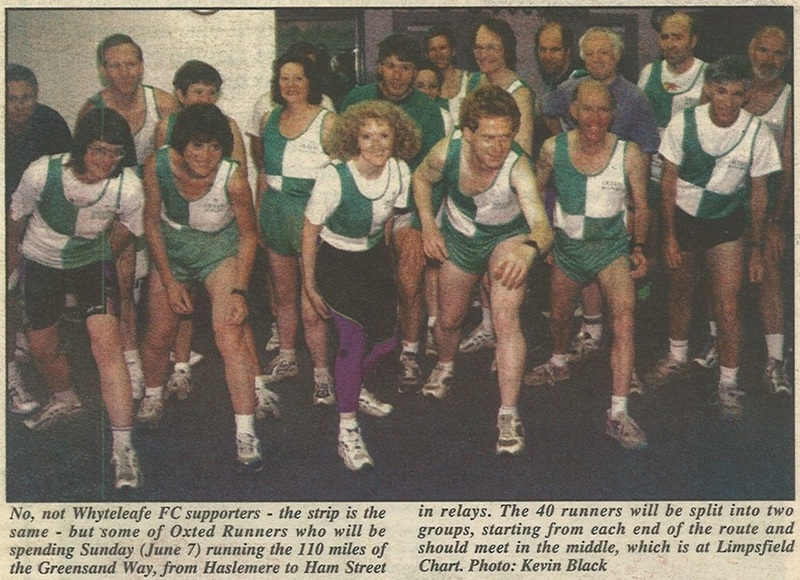 Reviewing some of the old Newsletters finds that 25 members participated in the annual Christmas Run in 1995, adjourning afterwards to the Whaletail Bar (situated upstairs in the Leisure Centre in the area more recently used as a creche). 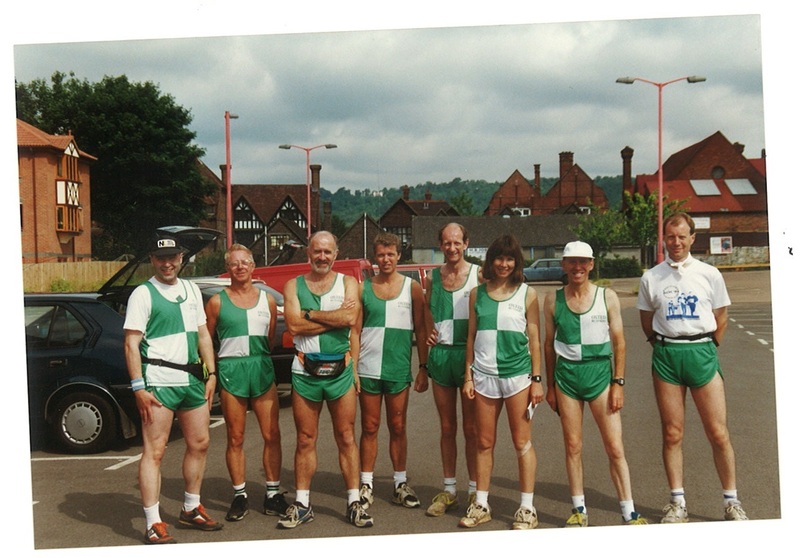 A number of the original members are still running with the club or actively involved. Information kindly provided by David Millen and Tony Pearson (Club President 1994-2009).